Preheat the grill, setting burners to medium. Oil grate. Grill sausages until cooked through. Let cool. Cut into slices. 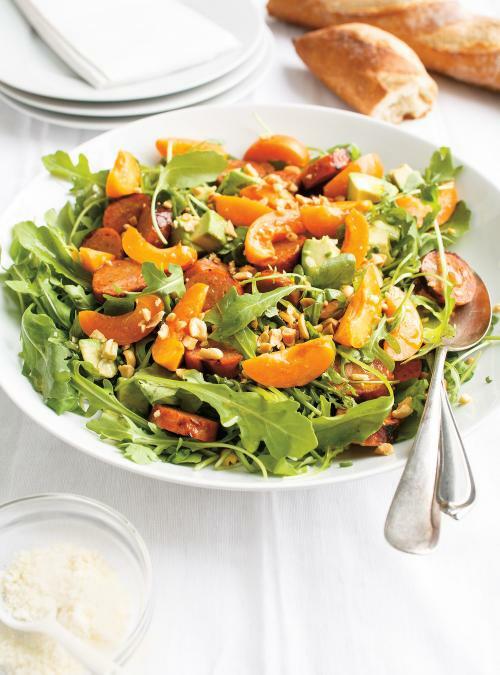 In a large bowl, toss arugula, avocado, green onions, oil and lemon juice. Season with salt and pepper. Serve garnished with sausage. 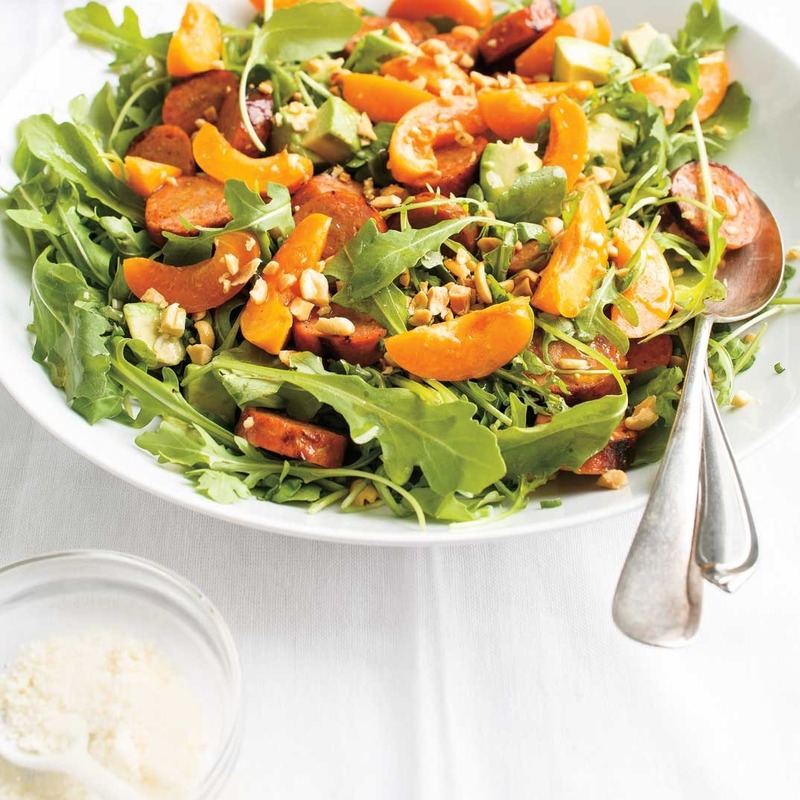 Sprinkle with peanuts, apricots and cheese. Take this opportunity to go to a good sausage maker and discover new sausage flavours.